Each season we see remarkable comebacks, terrible losses and unpredictable games. The other night saw a fantastic San Jose Sharks comeback from a 4-0 deficit, to get 5 goals in a row and win it 5-4. Although amazing, that game was routine compared to the unbelievable change in momentum in the Vancouver Canucks and Chicago Blackhawks series. The Vancouver Canucks are by far the best performing team of the 2011 season with a league high 117 points. They went on to win the President’s Trophy. The top-scorer in the league, Daniel Sedin, is a Canuck and Art Ross Trophy winner. Henrik Sedin, Daniel’s brother, was the 4th best scorer of the league thanks to his enormous number of assists. Their goalie, Roberto Luongo, is a legendary Canadian champion who went on to carry Canada to the gold medal in the Vancouver Olympics. Luongo and his partner in crime, Cory Schneider are on hand to win the Jennings Trophy, awarded for outstanding goaltending. I could go on and on, but according to all measurable statistics, Vancouver is the best team of the 2010-2011 season. The playoffs, however, change everything. Well not everything. 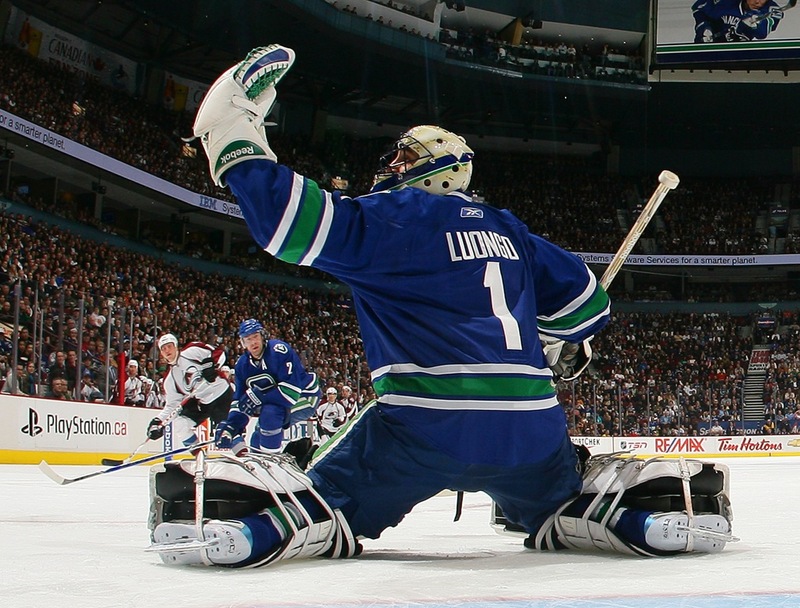 The Canucks had an amazing start to the series, winning 3 games in a row. When they headed to Chicago for game 4 no one expected anything other than a relatively easy win for Vancouver to advance them on to the next round. Unfortunately for the Canucks, this is where psychology took over. Perhaps they were over-confident. Up 3 games, they felt they didn’t need to give it their all. Perhaps it was Chicago’s determination to not be eliminated. Or maybe Vancouver took to celebrating early by having 9 shots of jack each before the game. Regardless, something had changed and it didn’t take long before this hockey fan knew there was a serious problem. Chicago gave it their all to get to an early start in the game and immediately the Canucks were hit psychologically. A couple quick goals demoralized the team and they were not able to shake off their lack of preparation for the game. They thought they could win it blindfolded but reality did not settle in fast enough for the team. Vancouver’s 7-2 loss that night carried back to home ice where they are currently losing 5-0 with no hopes of getting back in the game. Momentum is referred to multiple times by the commentators every game as it is one of the biggest determinants of a game’s outcome. The Blackhawks shifted momentum their way, turned it into a psychological game, made the Canucks question themselves and now Vancouver is in a really bad position. Thanks to their early dominance (3-0 lead in the series) Vancouver can afford to lose a couple games. Unfortunately, it is a slippery slope and each game they lose will continue to demoralize them and make every game after harder to win. Letting the Blackhawk’s get to them has made Vancouver’s unquestionable skill largely irrelevant. Some teams are built for the regular season, some for the playoffs. I think Vancouver is from the first category. Chicago was underestimated by most people, and Vancouver have a history of losing to them. I still think it is likely Vancouver will win the series, but whether they have enough to go further remains to be seen. To me the biggest challenge for any team hoping to win the cup this year will be Detroit. I would agree with you about Vancouver not being a playoff team except that they won 3 in a row . . . Perhaps they got ahead of themselves and Chicago has caught them off guard. And yes, Detroit is a force to be reckoned with but if Vancouver plays like they have been throughout the season then they won’t have any problems sending them packing. Unfortunately, though, they have not been playing like they have been throughout the season . . .